"Type 2 Diabetes Symptoms Helped With Omega 3 Fish Oil"
Research Shows Omega 3 Fish Oil cuts risk for Diabetes in half. In the mid 90's an elderly neighbor of mine said his doctor told him that if we live to be old enough, we'd all have diabetes eventually. When I asked Why? He didn't have an answer, his doctor left out that part and he didn't have a clue. Now because of what we learn through research findings I believe the answer is chronic inflammation in your body. The good news is that you can control inflammation. Up To 80% Of Deaths In People With Type 2 Diabetes Are Attributed To Cardiovascular Disease. A powerful inflammation fighter is Pure Virgin Coconut Oil. Pure virgin coconut oil also takes care of some of the spikes in blood sugar from carbohydrates. It should be a no...brainer for a diabetic to use coconut oil instead of corn oil, soy oil, or margarine. Omega 3 Fish Oil in diets for diabetics improves circulation by rendering the walls of the veins and arteries smoother and more elastic. According to Dr. Weil, diets rich in omega 3s can decrease insulin resistance in diabetics. According to Dr. Michael Colgan, omega 3 fatty acids inhibit adult onset diabetes. Another study says omega 3 fish oil will improve whatever insulin the person has or gets. Previous population studies have suggested that omega 3 fish oil in a diet might help protect against diabetes. "There were epidemiological studies on the Greenland Eskimos, a population of people that eat mainly whale blubber. The scientists that studied them found that it was because of the omega 3 fish oil in their diet. Researchers have found that part of the cause of cataracts is the lens of the eye trying to "help" the body lower high blood sugar by storing it away within the lens, which gradually obscures vision. So it stands to reason that people with type 2 diabetes have a much greater incidence of cataracts and other Eye Disorders than people with normal blood sugar levels. One third of people with type 2 diabetes will have a serious skin disorder at some point. And that's a diabetic's worst nightmare. Because diabetes can slow your body's natural healing, the disease and skin problems go hand in hand. 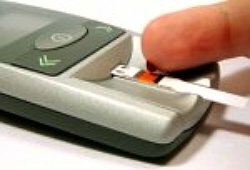 Bacteria even feeds on high glucose levels, so diabetics are more prone to fungal infections. You should always consult with your doctor about treatment options that he recommends and also about Natural Home Remedies For Diabetes! If you want to add omega 3 fish oil supplements to your treatment, please discuss this with your physician. NOTE: Diabetics should be aware that supplemental omega 3 has, in some (not all) studies, worsened blood sugar control, but only initially. This effect seems to be a temporary, self-correcting phenomenon, but diabetics should monitor their blood sugar closely under a physician’s guidance when first taking an omega 3 fish oil supplement. The Benefit Of Reducing Chronic Inflammation And All The Problems It Causes, Could Save Your Life. Learn what others are doing. Help people with tips you've discovered.